Recently the Wyoming Department of Health submitted a revised plan on how the state could expand Medicaid Services to more people. It would require some of the new participants to pay into the system, much like they would do if they owned insurance. They’d do this on a sliding fee scale depending on their income. While he is still nervous about the federal government’s financial commitment to the effort, Governor Matt Mead says that the program could provide more health care to more people and also save the state money. “In 7 years if we did the optional expansion it would save us 47 million and if we fail to do the that expansion in that time period, it would cost the state another 28 million dollars, so that is the cold hard math on whether we do the expansion or not. However, Mead says he has been speaking to legislators who are still skeptical about expanding Medicaid. But Mead admits he still has a couple of concerns. 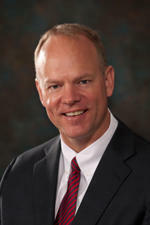 Mead says he will leave the overall decision up to the legislature when it meets in February.